Today, you can choose to work from your home office and still have a physical office in New York. Sounds impossible? It isn’t, and even available to you at a very affordable cost. We’re not just talking about a wall lined with mailboxes, a counter person and basic voicemail services either; It’s more than just a mailbox service. VH International Business Solutions offers a premium office equipped with the latest in staffed executive office and virtual office services including meeting room space, private office, mail handling and forwarding, and phone and fax business telecommunications services, all managed by trained professionals and high tech software. It’s possible for you to be working from anywhere in the world and still have a full serviced Manhattan business presence for your business. Virtual offices are not only good news for home based entrepreneurs, but very beneficial for businesses and companies looking to cut-back on their high office costs. Companies can save on not only excessive overhead costs such as rent and related utilities, but there’s no such thing as having to deal with sick leaves, paid vacations etc. Companies will enjoy all the benefits of having a standard office such as reception, guest waiting areas and private conference rooms – a complete office without the costs. All it takes is about a business day to establish your own New York office and begin client meetings the following day. You can have all the benefits of having a real office without any overhead worries. You also have the perks of going international by establishing a virtual office in a major cosmopolitan city such as New York City; your correspondence is mailed to your virtual office and, no matter where you’re located, your mail is forwarded to you upon request or pre-established schedule. You can also have a professional receptionist answer your business calls, in your company name and email you your messages, or, establish your own 212 phone number and have incoming calls transferred directly to your own number, wherever you are. You also have the flexibility of receiving your 212 faxes right into your email inbox. 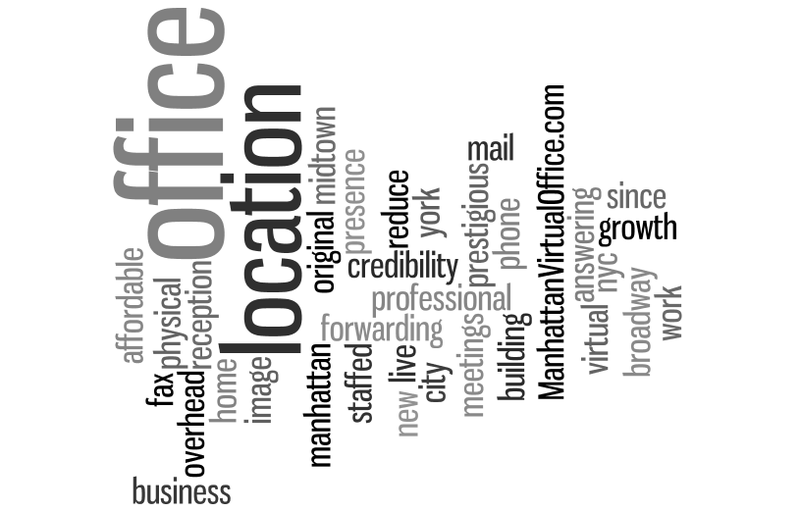 Virtual offices are here to stay, becoming the office of the future, and thanks to ManhattanVirtualOffice.com, they are much more cost effective and better than renting a place. Additionally, the right virtual office can not only be beneficial for your company but can also bring about a more professional aura to your home-based business. So if you are thinking of having an office in New York, surely consider New York’s premier virtual office provider with over 22 years experience – VH International Business Solutions. If you subscribe to 3, 6, or 12 months of virtual office service from May 11, 2012 – May 13, 2012 we’ll add a month onto your term for free. That’s up to a $80 value. Simply enter promotion code 5121MONTH in the promotional code section of the online virtual office application, accessible from our Order Now page. Please note that this offer is valid for new approved clients only. Offer may not be combined with any other offer. Applicants must complete the online application order form by 11:59pm on Sunday, May 13, 2012 and have complete their applications prior to 11:59pm on Monday, May 14, 2012. After your service term is up, you can opt to renew service at the standard published rates. Current rates for renewal are from $25-$80 per month for the virtual office address rental. You can select to have your mail forwarded daily, weekly or monthly. Service charge of $00.50¢ per piece plus postage. Mail pickup is available by appointment and is a flat $3 per pickup. Meeting space available at $25 for the first hour and $15 each additional hour. An initial $25 deposit required for any account activity costs, for example, mail forwarding costs. Account setup takes just one business day from receipt of your completed application.